Fuzzed-up vocals, gore-filled electronic sounds, spooky fillers, razor-sharp guitars and horror movie samplers are what makes Rob Zombie the monster he is. 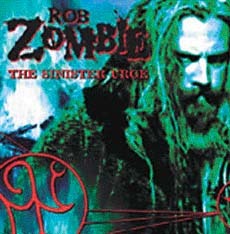 Rob’s last album, 1998’s Hellbilly Deluxe demonstrated to the world that the ghoulish vision of a mix of music and horror that began so long ago with White Zombie could still be crystallised single- handedly. Now Zombie returns from the grave to familiar territory with his second full-length solo album The Sinister Urge. Just like its predecessor, the album is written and produced by Scott Humphrey and Rob Zombie. The album sounds more like Zombie back in his White Zombie days. On the positive side, there are more actual songs, practical lyrics and less incoherent interludes and melodies. He has managed to follow his secret formula single-handedly to merge techno and metal into one. Never Gonna Stop (The Red, Red Kroovy) is the most apparent example of this, a song that borders on pop with its groovy handclaps and acoustic strings. The songs are heavy enough but they still have more hooks than a walk-in closet coupled with driving beats that are downright infectious and catchy. There are some easily noticeable changes to Zombie’s sound on Sinister Urge. The use of record scratching, courtesy Limp Bizkit’s DJ Lethal and Beastie Boys’ Mix Master Mike, adds a modern touch to the record. Feel So Numb is the traditional high energy hit, pumping in additional adrenaline with sing-along choruses. Scum of The Earth starts with a gothic synthetic effect and speed-up lyrics like "Hey I’m breathing, hey I’m bleeding, hey I’m scum of the earth, come on!" Transylvanian Transmission serves a great horror flick while Bring Her Down (Crippletown) sounds like a track from a Marilyn Manson album. House of 1000 Corpses, the theme from the film Zombie directed, that apparently earlier offended Universal Studios so much that they rejected it for being too visceral. The track, however, managed to break into the album this time. A typical Zombie track, as Rob sings: "She got a corpse under her bed/ She had her fun but now he’s dead/ Her momma said come feed desire/ Her brother said, Hey throw him in the fire." Let’s face it no one else can pull off the marriage between horror and music as well as Rob Zombie. Today’s female artists are being promoted for their sexuality just as much (if not more) as for their music. An upcoming artist is being judged on how marketable her body is, along with her music as an entire package. Shakira is just one of them. She joins the likes of Jennifer Lopez, Geri Halliwell and Kylie Minogue in choosing the same fork in the road where physical appearance does most of the talking. Interview magazine praised Shakira’s "gorgeous looks and impromptu belly-dancing," while Teen People magazine included her as one of its "25 Hottest Stars Under 25." Laundry Service, her first English-language album, is expressly designed to appeal to the masses who haven’t heard her releases in Spanish and Portuguese. So far, it seems to be working, at least till the success of infectious single Whenever Wherever stretches itself to the limit. The element of spontaneity is lacking throughout the album. Even when Glen Ballard steps in on The One, the result sounds sappy. Shakira loses something in the translation as well. Eyes Like Yours, the English version of Ojos Asi, lacks fluidity. Awkward lyrics come in many forms, such as "I’d rather eat my soup with a fork, or drive a cab in New York, ‘cause to talk to you is harder work." Shakira even teams with Emilio Estefan, Glen Ballard and Gloria Estefan for Eyes Like Yours, but all the star power in the world still fails to make Shakira the hottest import since Celine Dion (musically). Unfortunately, too much of bleach was added to this load of laundry. Best avoided. Since their first invasion into major label success with the album Ocean Drive, The Lighthouse Family has established itsself as one of the UK’s biggest-selling pop acts. 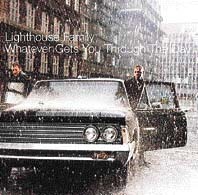 It has been four years since the last Lighthouse Family album, Postcards From Heaven, was released. But the current release Whatever Gets You Through The Day is definitely worth the wait. Mention the band’s name and people invariably connote the duo with cheery pop and upbeat positivism. The album carries the familiar musical arrangements of Paul Tucker and smooth vocals of Tunde Baiyewu. The duo once again showcases their knack for well-crafted pop songs, featuring seductive melodies, lilting vocals and great lyrics. The first single I Wish (I Knew How It Would Feel To Be Free) is a combination of Nina Simone’s ’60s’ black civil rights anthem Free and U2’s One, that cries out for happiness and freedom. The album opener Run and Happy are comparatively low-key tracks which feature prominent strings. The album will be remembered as an emotional one, with no thumping drums and loud guitar riffs. Instead, mellow percussions and smooth melody backs Tunde’s rich voice. The song that will get your feet tapping would be Life’s A Dream. You Always Wanted What You Haven’t Got has a catchy tempo and like everything else it slips down so easily that you find yourself relaxing dreamily into its warm grooves. End Of The Sky and It’s A Beautiful Day come into form with digitally enhanced strings and lovely harmonies from a backing choir. Lyrics such as "I wish I knew how I’m gonna be happy without you", "I wanna run away with you" and "Who says you can’t be happy all the time?" are clear indications of the band’s positive attitude towards life. It is worth appreciating that Balyewu provides the vocals and Tucker writes just about the entire album. This combination becomes the band’s main strength. A relaxing experience. 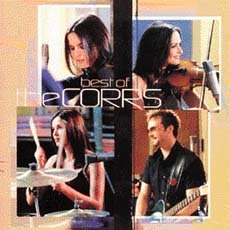 The Corrs have achieved more hits in three albums than most bands score in an entire career and they are all featured in this compilation album. One of Ireland’s most successful pop exports of the ’90s, family band The Corrs comprises Andrea (lead vocals, tin whistle), Jim (guitar, keyboards, backing vocals), Caroline (drums, vocals) and Sharon (violin, vocals). Signed to Atlantic records, their 1995 debut — Forgiven, Not Forgotten — was a striking work, deftly combining traditional music with a strong pop sensibility. From the breathless plea of What Can I Do to the blunt I Never Loved You Anyway, this is undeniably radio-friendly music throughout. There is a mixture of old hits, unplugged tracks and cover versions with two previously unreleased tracks, including current hit single Would You Be Happier? The album shines brighter with cover versions of REM’s Everybody Hurts and Steve Nicks’ Dreams. The prominent tracks include Only When I Sleep, Runaway, Breathless, Love To Love You, Make You Mine and Radio. A collector’s item — even if you are not a ‘hard-Corr’ fan. With a rich soul-stirring voice, and years of training as a classical pianist, Alicia’s debut album Songs In A-Minor is an outstanding mature piece of work for a 20-year-old. The album is a stellar mix of R&B, soul, blues and jazz influences. And now with a bunch of prestigious awards behind her, including five Grammys, the album proves to be one of the greatest R&B albums ever. By all standards Alicia is special: it’s hard to remember a debutant making such a deserved impact since Erykah Badu (Baduizm) emerged in the mid-90s. It’s no wonder music mogul Clive Davis brought this performer over from Austria as one of the flagship artists for his new label J Records. The album’s mood swings from upbeat retro soul songs to funky R&B to slow soul and jazzy ballads. If you’ve had too much of Whitneys or Mariahs, then Alicia Key’s energy and sound will definitely win you over. Fallin’, the album’s first single, showcases Alicia at her best. An intro appropriately titled The Piano & I transforms Alicia’s recital of Beethoven’s Moonlight Sonata into an electrifying product. How Come You Don’t Call Me Anymore defines the sheer energy and emotion that Alicia churns out on the album. Girlfriend (with Jermaine Dupri) sets the tone: a midtempo-minus hip-hop beat which uses multi-layered vocals for an extra depth. Troubles is like a more R&B focused Morcheeba. Also worth checking out is the funky wah-wah and string-stabs of Rock With You (from the Shaft soundtrack), where Alicia collaborates with Issac Hayes and his orchestra. With lyrics such as "I knew why the caged bird sings/ Only joy comes from song," Caged Bird is perhaps the album’s most personal and revealing track. The true groove of the album comes though, when Alicia belts out A Woman’s Worth. The track typifies her brand of sensual soul music. It also shows her quest for love and passion when she sings, "A real man knows a real woman, when he sees her. A real man can’t deny a woman’s worth." Alicia manages to squeeze in the playful Stevie Wonder-esque Mr Man to round off her repertoire, and closes the album with a handful of brilliant ballads. An exceptional album — and this is only the beginning of what is certain to be a long career in music for the refreshingly talented young diva. 1. What year were the Isley Brothers inducted into ‘The Rock and Roll Hall of Fame’? 2. Which Billy Idol hit contains the lyrics — "Don’t need a knife to violate my life it’s all so insane" ? 3. According to the Incubus’ mega hit track Consequence — blink and you miss what? 4. What band did Doug and Danny play before Iron Butterfly? 5. Name the notable musician who played violin on Blind Faith’s debut album? 6. Which Ice Cube song features a sample of B B King’s Chains And Things? 7. Debbie (Blondie) was once featured in a film as a psychic. Name the film. 8. What is the title of Natalie Imbruglia’s latest album? 9. Chris Robinson (Black Crowes) played a Rock ’n’ Roll angel for which sketch comedy series? 10. What does India Arie compare herself to on the song Brown Skin?